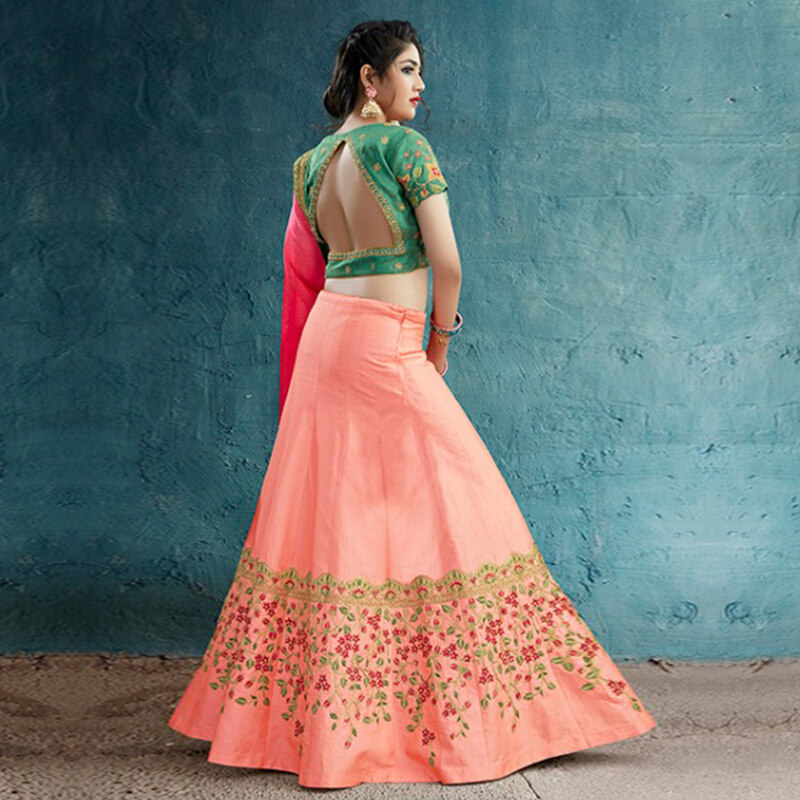 Make your ethnic look more stylish & trendy with this gleaming peach colored silk lehenga choli. 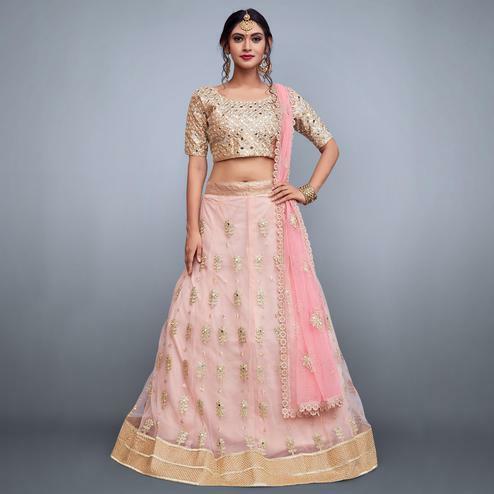 The thread and elegant zardozi style work done throughout the outfit is bound to make you look more enchanting. 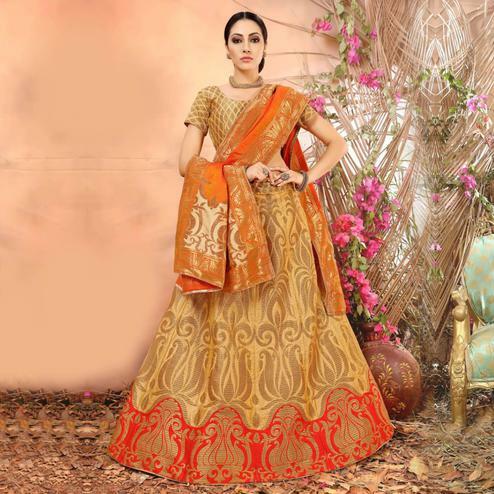 The unstitched blouse is made of two tones weaved silk fabric which is beautified with zardozi and thread embroidery. 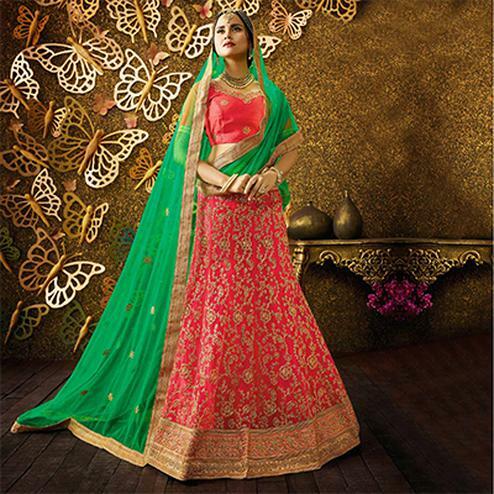 Comes along with chiffon fabric iconic patched lace border dupatta. 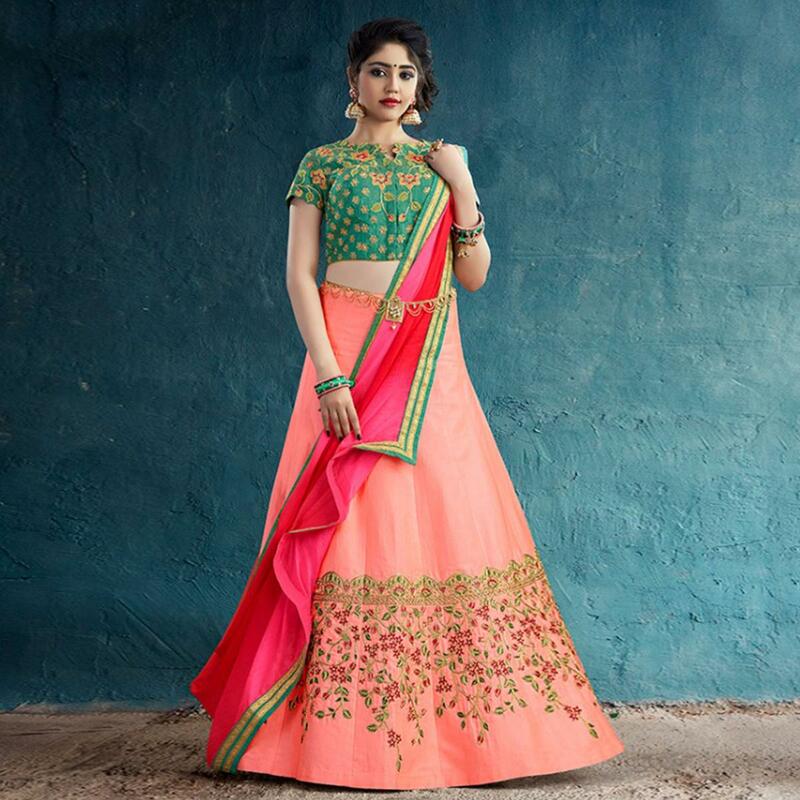 Specially designed to wear for wedding functions, engagement ceremony and special occasions, where you want to be center of attraction. Pair it up with classy accessories and heels to make your look more attractive. Get this dress now before it's gone out of stock.